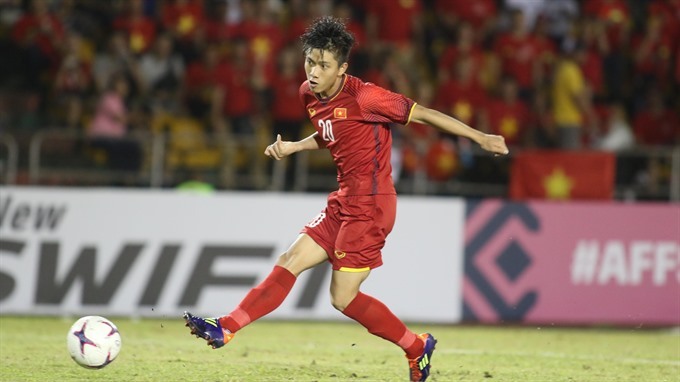 HA NOI — Though Phan Van Duc only received a last-minute call-up to the national U23 side and wasn’t a first choice of his head coach at the start of this year, the striker has proven a key player for a national team on the cusp of silverware in the ASEAN Football Federation (AFF) Cup this weekend. Duc has been a star man for the unbeaten team, with two goals and assists in the tournament. The Nghe An Province-born striker notched both the assists in the 2-2 draw in the first leg of the final away to Malaysia. The 22-year-old has had a long journey to where he stands today. Like many kids, Duc fell in love with football and dreamed of one day playing for the national team. He was picked for the Yen Thanh District team competing in a provincial championship as a skinny youth and was spotted by Song Lam Nghe An FC scouts. 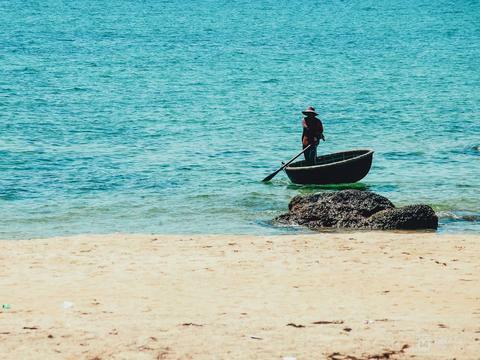 Duc then left his small village for Song Lam Nghe An’s training centre at the age of 11. In 2012, he was a member of the club’s U17 team that won the national championship. Four years later he made his first team debut at the age of 20. Coach Ngo Quang Truong said Duc didn’t have the ideal body for football, but was a special and strong-willed player. “He won the national U17 title but after that he did not show he could develop. It was partly due to his character, living far from home and puberty, which gives many young players mentality challenges,” said Truong. Truong said Duc was thin and not very tall but a patient and focused player. “Some players could be discouraged when they failed in a drill, but not Duc. He would do it again and again until he succeeded. You can see his results through his goals and the way he passed rivals in the ongoing AFF Cup. It was all what he learnt and trained for since he was a teenager,” he said. In fact, Duc was never a big name for Viet Nam’s youth teams. He failed to make the squad for the Asian U19 championship in 2016 or the U20 World Cup the following year. However, these set-backs only pushed him onwards. At club level, Duc cemented his spot in the first team in 2017, scoring four goals in the V.League and another four in the National Cup. He was then called to the national U21 side to take part in the Thanh Nien (Young People) newspaper international football tournament where he impressed the national team’s technical director Hans-Jurgen Gede. The German urged national team coach Park Hang-seo to take Duc in his U23 squad to Thailand for the M-150 Cup last November. The Korean agreed, despite not knowing much about the player, having been in the job for only two months. The striker performed well in Thailand and secured his place in the squad for the Asian U23 Football Championship in China in January. He made his first start in the quarter-finals against Iraq, scoring one goal and notching one assist, helping Viet Nam secure a semi-final berth. Duc won over the South Korean coach due to his versatile ability to defend and attack, and his strength with both feet. "He had a successful tournament in China, building up his image and proving his ability at the Asian Championship. He was a substitute but showed his talent. He is a key player of the team,” said Park. Viet Nam made history as they lost to Uzbekistan in the final seconds of the extra time of the final, securing the country’s first continental silver medal and becoming heroes in the process. Song Lam Nghe An President Nguyen Hong Thanh said Duc was a player with determination and aspiration. Former coach Nguyen Thanh Vinh agreed and used to say he was a kind of player who could make change and would be key element of the Vietnamese national team. His prediction has turned out to be true. Duc is shining at the AFF Cup. He has been always in the first team, replacing beloved Nguyen Cong Phuong and even captain Nguyen Van Quyet in the front line. He made local and international headlines for what he has done. His goal against Cambodia was voted the best of the fifth round in the group phrase and he was presented the man of the match award for his performance in the first leg of the semi-final against the Philippines. Fox Sport Asia chose him as one of the top five performers of the 2-1 win match and listed him in their best XI after the semis. Despite all his success and the reported interest of Thai club Nokhon Ratchasima, Duc has stayed humble. “My performance is pretty good and I will try my best to maintain it. 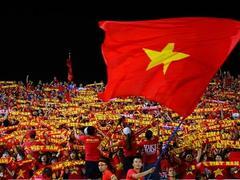 I don’t care about anything else but playing hard for Viet Nam, for my supporters, my friends and family. I play for teammates and for myself,” said Duc.